It is amazing how cold it was. In this picture, I see a eagle about to take off. 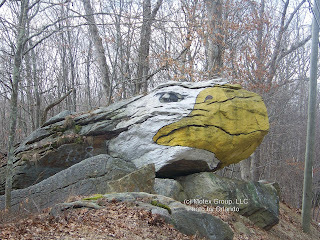 This is actually a painted Rock somewhere in Marlborough, CT. What do you see?